About 8 hours ago from Take Five Cafe's Twitter via Hootsuite Inc.
About 3 days ago from Take Five Cafe's Twitter via Hootsuite Inc. Stainless Steel. Stoneware. Glass. How do you store your coffee? At Take Five Café, we believe quality coffee deserves quality storage. We’re not one to stick our coffee in any old container. When we send Take Five Café coffee home we believe it’s getting the very best treatment. So toss those zip loc bags and make room for some truly unique coffee storage solutions. We’ve scoured the web and come up with some of our favourites that work for any personality. Sit back, take a look, pick a favourite! 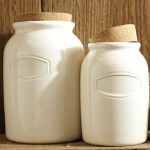 For a classic stoneware canister, may we suggest the Rhodes Canister from Pottery Barn. Or, for rustic, woven luxury, (not for the light of budget) you can check out these Woven Canisters from Ethan Allen. 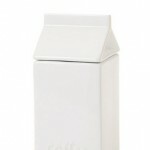 If you like irony with your coffee, why not store your beans in a Milk Carton Canister from Urban Barn. You also can’t go wrong with classic stainless steel. Check out these Stainless Steel Canisters from The Bay. 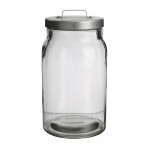 Or, for minimalist simplicity, we suggest a classic Glass Jar from Ikea. At the end of the day, whatever coffee storage works for your home and hearth, works for us!